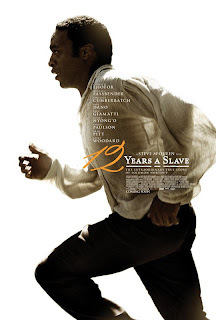 Fassinating Fassbender - A Michael Fassbender Fan Blog: The Trailer for 12 Years a Slave! The Trailer for 12 Years a Slave! Click here to see the trailer on iTunes! It looks great doesn't it? The movie is still going to be difficult to watch at some parts, especially with Michael's evil slave owner Epps, and the emotional heart tugging turmoil of Solomon played by Chiwetel. Here are some images from tumblr! More images at Awards Daily. I can breathe now. FINALLY!! I am speechless. This is raw beauty. This does look wonderful. Less cannot be expected of Steve because that is who he is, a wonderful artist. As far as the performances, I think just by looking at the cast you can tell it's going to be good. Every time I heard of another actor/actress signing on, I was more excited. The only complaint. The music towards the ends sounds TOO MUCH like Shame. I know they used the same composer so that explains it. I just wish it didn't sound like it. I will watch regardless. It will be a great film. Chiwetel had me feeling very emotional in the bit of his monologue. OH MEN....Goosebumps all over the place. I'm on holiday and yesterday I had a brief monment on the world wide web and I googled for the TYAS trailer with no result. And a now I check the blog and..BAM! there it is... a coincidence? But this like Barbara said "raw beauty". This is going to be so hard to watch but I can't wait. Adrenaline is pumping through my vains! Not only because it is a new film with Michael but it's also a new Steve film! Me happy! Hey Martha, That's not going to be the music in the movie. It bothered me too. That's just a few Zimmer scores thrown in for the 1st trailer. Hans Zimmer is composing an original score for 12YAS.